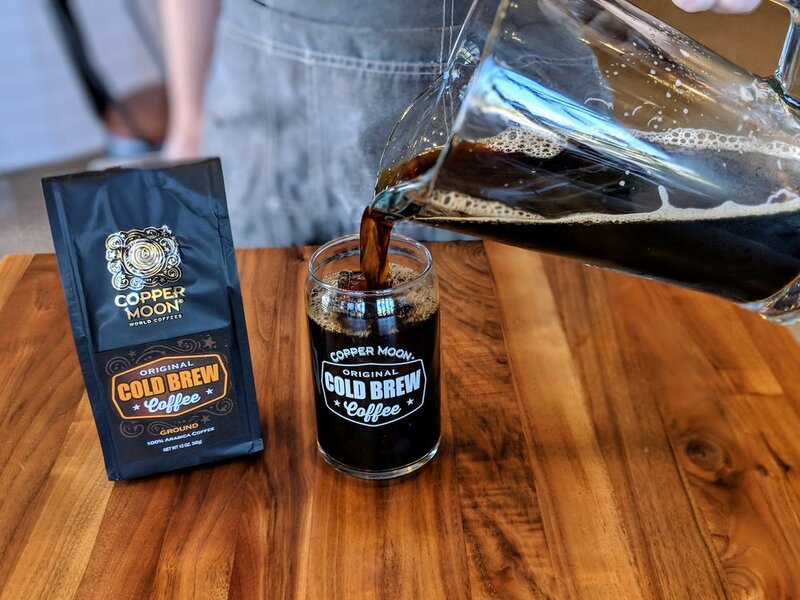 Copper Moon Cold Brew Coffee is designed to let anyone make cold-brewed iced coffee fresh at home. We roast premium Ethiopian Yirgacheffe coffee beans resulting in a perfect sweet flavor and extra smooth finish. 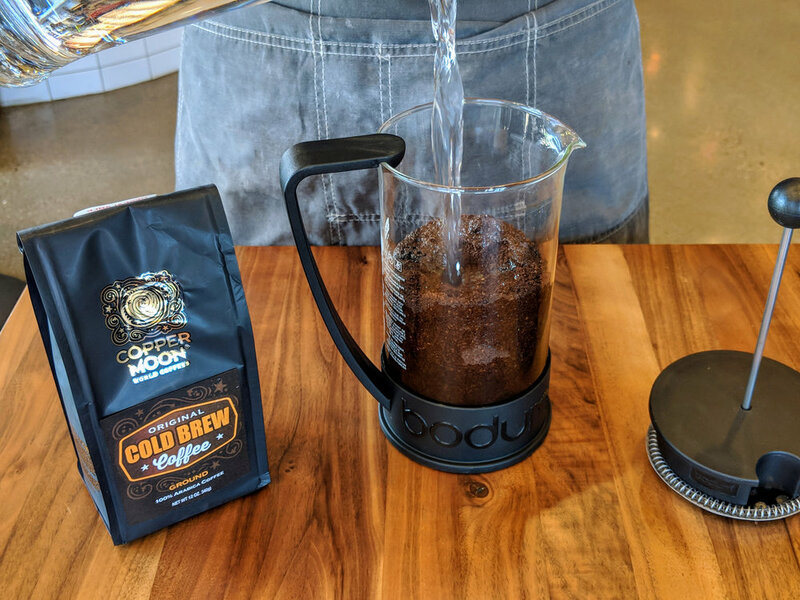 Step 1: Add 1.5 cups of Copper Moon Original Cold Brew Coffee to the French Press. Step 2: Add 3 cups of room temperature water to the French press. Step 3: Stir the grounds into the water. For best extraction make sure all the grounds are wet. Place the plunger back on the French Press and store in the fridge for 14-16 hours. Step 4: Carefully press down the plunger and make sure to push all of the grounds to the bottom. This recipe makes a concentrate, that is one part Concentrate to two parts water. You can adjust for your liking by adding more (weaker) or less water (stronger). 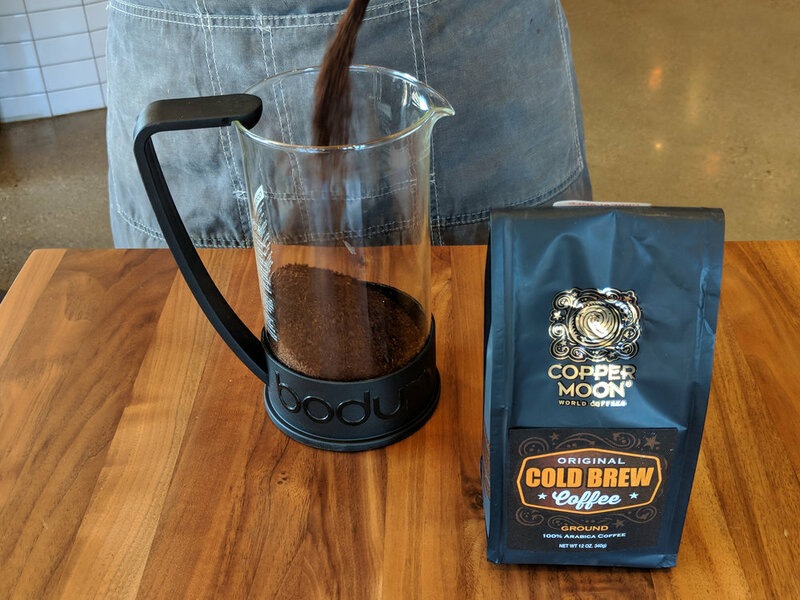 Time to enjoy your Copper Moon Original Cold Brew Coffee! Enjoy your Cold Brew how you would like. Sip it straight-up, on the rocks, watered down, or add cream for a delicious energizing treat. Join our newsletter to stay up-to-date on all things Copper Moon, including giveaways and discounts. Copyright © 2019 COPPER MOON COFFEE LLC. All Rights Reserved. Copper Moon® is a registered trademark of Copper Moon Coffee, LLC.